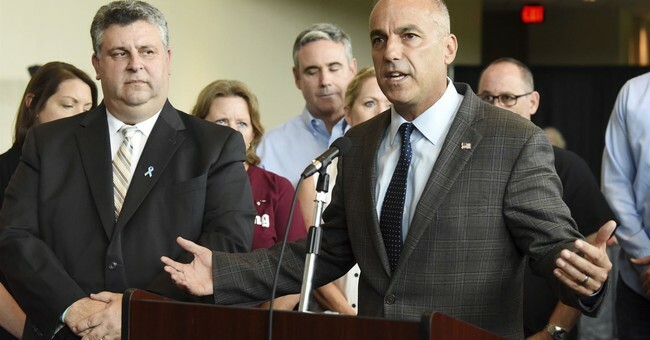 Andrew Pollack, a father who lost his daughter Meadow during the mass shooting at Marjory Stoneman Douglas High School last Valentine's Day, has taken his anger out at Democrats. It was the Democrats' policies, Pollack said, that allowed a mass murderer to open fire in his daughter's school. Pollack said it started when he went searching for his daughter the day of the shooting and he happened to be wearing a Trump 2020 shirt. He and his shirt made it onto TV and he said he started receiving hate mail from mostly “sick, demented Democrats.” They were “attacking him for wearing a freaking shirt” while he was searching for his murdered daughter. Then, Pollack starting researching Parkland’s laws and he found out that superintendent Robert Runcie, a Democrat brought with him a diversionary program from the Obama administration "that doesn’t believe in holding kids accountable." The shooter had committed multiple crimes before unloading on students, but he was never arrested. If he had been, he wouldn’t have been able to buy a rifle, Pollack notes. "Democratic policies put together led to my daughter getting murdered," he concluded. "This is the truth," he said, and he "despises" it. Pollack then told his viewers to vote for Ron DeSantis for governor and Rick Scott for senator. "Sir, I am so sorry for the loss of your daughter," one Twitter user responded. "But, the fact that you were wearing a Trump shirt when you were searching for your beloved daughter and you got hate mail because of that shows just how hateful the Democrats have become. God Bless."